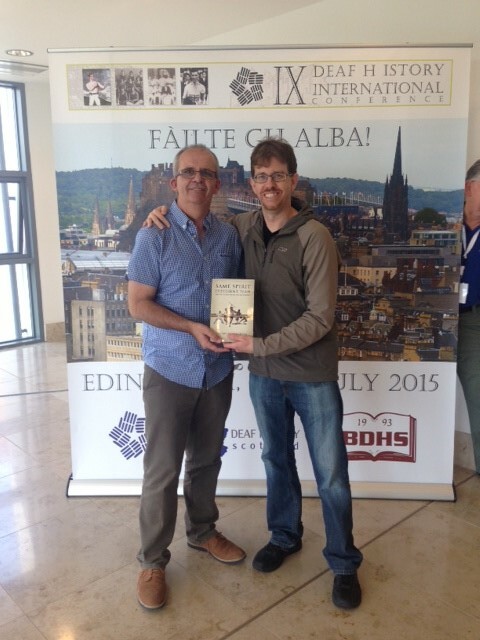 ‘Same Spirit: Different Teams’ author Stuart Harrison meets with Prof. Jordan Eickman, author of Deaflympics’ ‘CISS 2001’ book! 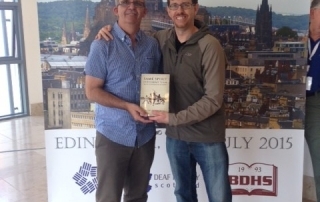 One of Action Deafness Books’ authors, Stuart Harrison, who wrote the highly acclaimed book “Same Spirit Different Teams – The Politicisation of Deaflympics”, has recently attended the Deaf History International Conference in Edinburgh, Scotland with the theme “Deaf Sporting Heritage”; as one of its main speakers. 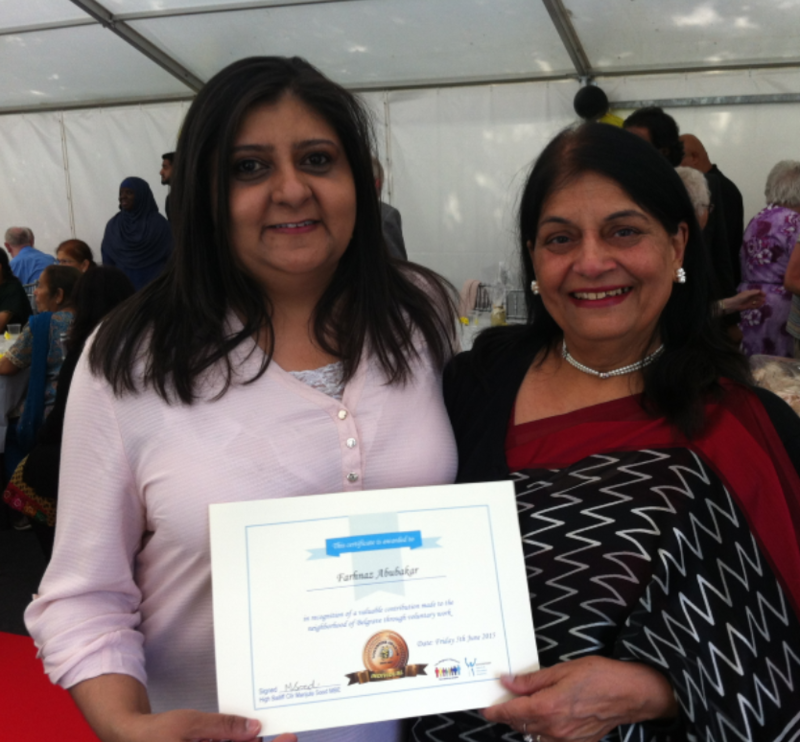 Our volunteers awarded for their hard work and efforts! New tinnitus support group in Leicester! 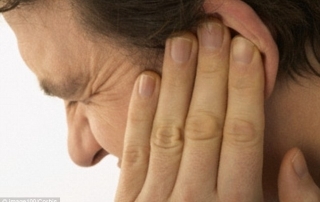 Following an information day held by The British Tinnitus Association in Leicester earlier this year, there will be a new Leicester support group, backed by the British Tinnitus Association. 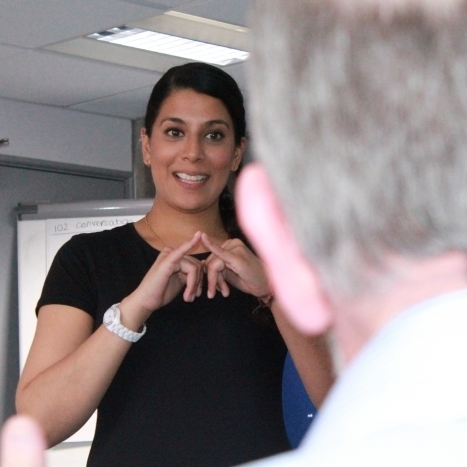 Two organisations form a new partnership to deliver exciting BSL Level 3 in Derby! 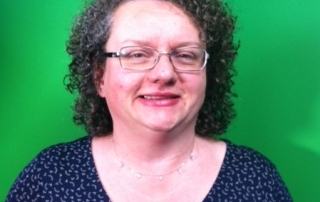 Ian Carpenter’s company ‘Language in Hands’ has partnered with Action Deafness Knowledge to deliver British Sign Language Level 3 courses in Derby in September. Working together, we are able to provide students with 2 options for the course, learning on either Monday nights or Thursday nights. 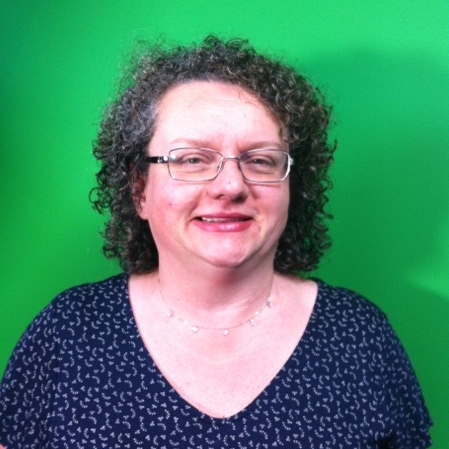 BSL Level 1, 2 and 3 with Action Deafness! 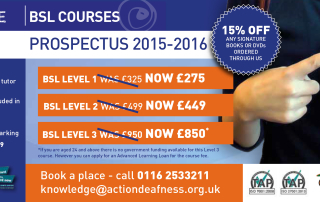 Knowledge is now starting to recruit students for September for our BSL Levels 1, 2 and 3! 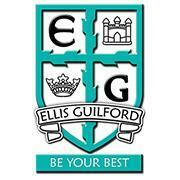 Places fill up very quickly so book your place early to avoid disappointment! Wave Hello To Our Brand New Website! We are very proud and excited to announce the launch of our brand-spanking new website, complete with great new videos, rebranded logo and a fabulous new design. The new and revamped website allows us to showcase even bigger and better images of our work, including outstanding examples of our business solutions provision. 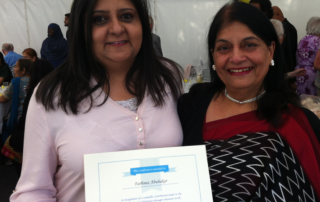 Proud to announce that Action Deafness’s Knowledge duly achieved 100% pass rates in BSL Level One! Action Deafness is delighted that its BSL Level 1 students have all successfully passed their exams from Signature achieving a 100% pass rate! 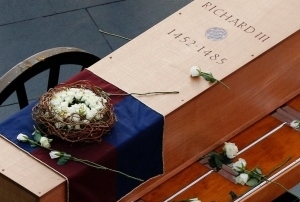 Action Deafness CEO Invited to Historic Event at Richard III’s Interment in Leicester! 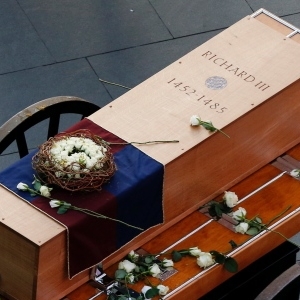 Craig Crowley, Chief Executive of Action Deafness, was among several invitees from across the city of Leicester and the county of Leicestershire who gathered together in Leicester Cathedral on 27th March 2015 to mark the end of King Richard III’s journey and to see his sealed tomb revealed to the public for the first time.